Harold E. Hunt, age 73, of El Dorado Springs, MO, passed away July 5, 2013, at Nevada Regional Medical Center. Harold was born on September 6, 1939, in Gooding, Idaho. His parents were Arthur and Bessie (Skakal) Julian. Harold graduated high school in 1957. After graduating high school, Harold went to work at the milk plant in town. He worked there until he retired in 2003 after 45 years of service. Harold was a very active member of the Eagles Aerie #4279. He was Worthy President 1999-2000 and held various other offices and worked on many committees over the years. On February 12, 1961, he married Sondra Neely. To this union three children were born: Harold, Jr., Daniel, and Misti. 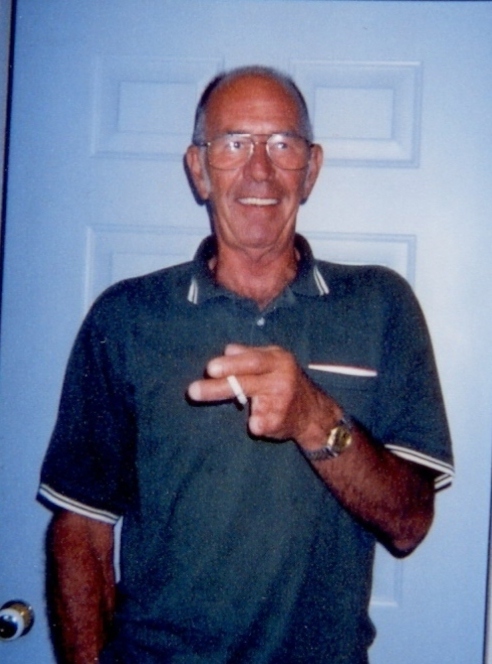 Harold was an avid golfer, deer hunter and loved taking his boat to the lake fishing for crappie. In his last year of life Harold was able to enjoy each of these activities one last time. Survivors include his three children: Harold Hunt, Jr, Daniel Hunt, and Misti Hunter and husband Curtis; four grandchildren: Courtney Smith and husband Gary, Sondi, Sadie and Waylon Hunter; and three great-grandchildren: Logan, Katie and Lincoln Smith. Other survivors include his brothers and sisters: Junior Hunt, Harold Julian, Junior Julian and wife Carol, Tommy Julian and wife Louise, John Julian and wife Bert, Carolyn Storbeck and husband Dennis, and Patti Alexander; many nieces, nephews, cousins and friends.